Michael Doughty's chipped penalty was enough to give Swindon a 1-0 win over Newport in the Checkatrade Trophy. 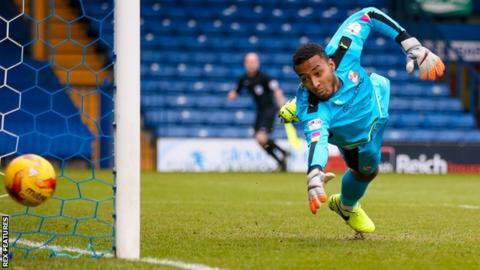 Swindon Town were without Lawrence Vigouroux after the goalkeeper was called up by Chile. The uncapped English-born 24-year-old was a surprise selection for friendlies against Japan and South Korea. An earthquake saw Chile's game with Japan in Sapporo on Friday cancelled, but Vigouroux could still win his first cap against South Korea in Seoul. "He [Vigouroux] is a 24-year-old youngster of great potential," Rueda said. "I want to see him up close to evaluate him."